I think my whole family could fit in one of their fireplaces! They are HUGE! The whole place is just breath-taking. oh wow, what a wonderful giveaway! Thanks again ! Please Enter Me In Your Home for the Holidays Giveaway. Apple iPod Touch Or Tabeo Kids Tablet. In Response To Your Requirement To Visit the Biltmore Estate then come back here and leave a comment about what i found most interesting. I Found It Interesting That George Vanderbilt created Biltmore as an escape from everyday life. Now, you can visit this 8,000-acre estate in the Blue Ridge Mountains of Asheville, North Carolina. I Never Knew This Place Existed Until I Saw This Giveaway. You can upgrade your ticket to a year long pass for only $29. The Inn on Biltmore Estate has been awarded Four Stars by Forbes Travel Guide, Four Diamonds by AAA, and the inn has been on Condé Nast Traveler’s Gold List for seven years. Great giveaway! I’d be more than happy with any item! I would love to give an iPad to my husband. Wonderful giveaway! Love Simply Stacie! Hi, I visited the site and found most interesting that the winery was once a dairy, and that guests could sample the milk and ice cream produced there. My grandparents and uncle were dairy farmers, and I wish children could experience what I did growing up, so I wish the dairy was still there. Thanks for the contest ! That you could “bring the Biltmore home!” That’s really cool. I love the biltmore home been there a few times when I would visit family in NC . George Vanderbilt created Biltmore as an escape from everyday life. The size of the place is incredible! It’s really beautiful, too. I think the most interesting thing is all the special deals they have. I wanna go, lol. We have had annual passes to the Biltmore Estate several times over the years, and have one now. It is an incredible house. The family was years ahead of their time including “new” technologies for their time. They also had much nicer than usual quarters for their servants. Instead of cramped rooms in the attic that were cold in the winter and hot in the summer, they had spacious rooms in the basement that were comfortable year round. I love the library. It is nicely appointed and the story about the ceiling most interesting. I live about an hour from Biltmore and have visited there often. I have always been delighted by the Candlelight Christmas Evenings. It is breathtaking! The Biltmore estate is stunning and is is truly a historical wonder. That’s pretty cool that they were able to do that! I found that for as beautiful as it is it is not as expensive as I thought it would be!! I did not know that there was a winery at the biltmore estates and had been making wine since the 1930’s. The website design is beautiful! I see that I can buy their wine at a lot of locations over in Delaware, the next time we make a trip over towards the shore! Wow amazing place I have necer seen anything like it! I learned that it is 8000 acres! 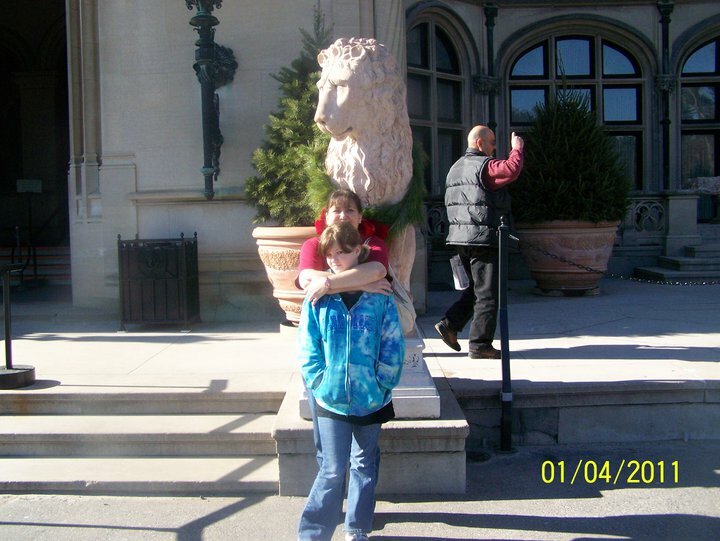 The Biltmore estate is cool!!! This would be the best christmas present ever. I learned about what wines go best with which cheesecake flavors. That they have a cork recycling program. Neer heard of that before. i liked that it was awarded 4 stars from the forbes travel guide!!!!!! The Biltmore estate is cool! Olmsted established America’s first managed forest. 8000 acers to discover what a beautiful site Biltmore in Asheville, NC. Okay, call me uninformed, but I had no idea that one could actually STAY at the (inn) e Biltmore Estate! One thing i found interesting is that it has 250 rooms! That place is beuatiful! !I loved reading about the winery..I’d love to take a tour. The china in their online store is really pretty. Wow! The estate is 8000 acres! That is a huge property!